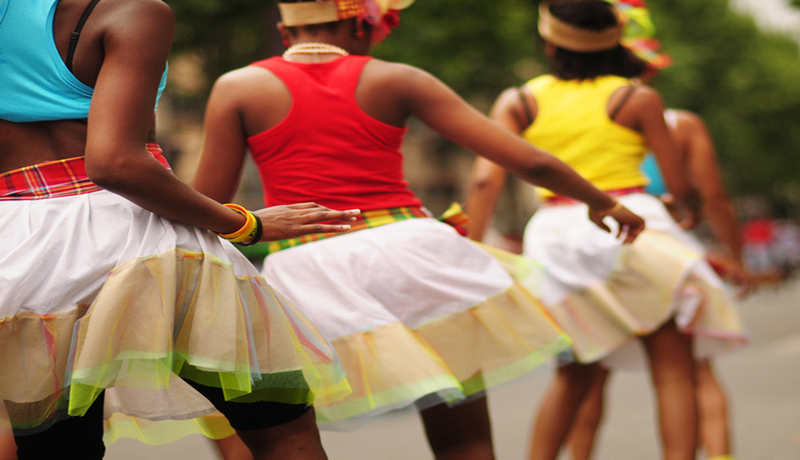 Samba is a Brazilian dance with African roots, which is considered one of the most popular dances in Brazil. Evolved from ancient African beats and traditions, Samba is very lively and dynamic dance, with distinctive syncopated rhythms. Samba is recognized as a symbol of Brazil, and danced by thousands of people, in colorful costumes, every year during Carnival. One of the most spectacular ballroom dances, Ballroom Samba is a partner dance, with couples dancing around the floor, following the strong beats, with characteristic rocking body movements, and frequent separations. Samba is one of the five dances of the "Latin American" program of international ballroom dance competitions, International Latin Ballroom Dancing Style. We teach private, semi-private, and group competitive and social Samba dance classes for adults and children ages 5 and up, including Pro-Am. Interested in scheduling Samba lessons at Star Dance School?